The failures of seawalls at Dawlish and Aberystwyth attracted much media attention. Those failures, and those of many other Coastal Structures around the South-West will need short-term repair work, and long-term improvement and replacement. But repair strategies need to be informed by clear analysis of why the structures have failed, and an appreciation that some repairs can worsen other failure modes, particularly where strengthening the toe of a wall can cause impulsive overtopping or loadings. Methods to analyse scour potential, overtopping and wave loadings on seawalls have been derived from recent research, and are publicly available. This meeting will show how they can be applied to explain (predict) failures of real structures, even to forecast them. 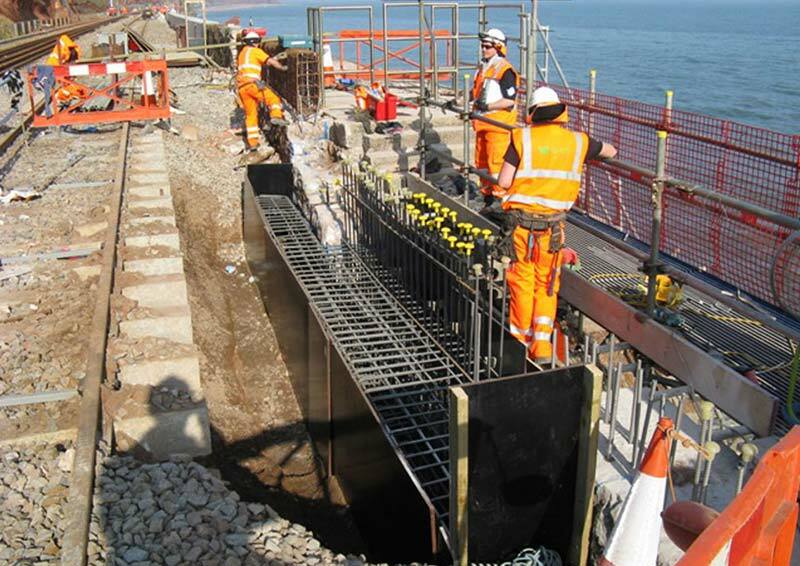 William Allsop and David Finch will review the main causes for seawall failure, describe recent research results which can be used predict / forecast such failures, and then use the failure at Dawlish to illustrate some of these methods. David Finch will then conclude by discussing advice he recently gave to the MP for Newton Abbott on long-term options for securing the seawall at Dawlish. Chairman - Greg Haigh, Independent Consultant and Chairman, PIANC UK.